With the purchase of a Kitchen Countertop. 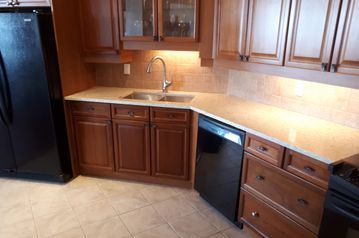 Kitchen refacers offers both Quartz and granite counter tops in our refacing program. 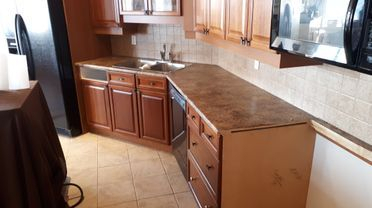 Look through our site at the before afters and see what works for your kitchen. In this photo we show off a custom hood fan. In this photo the new sink is under mounted. The new top fit underneath the tile line. 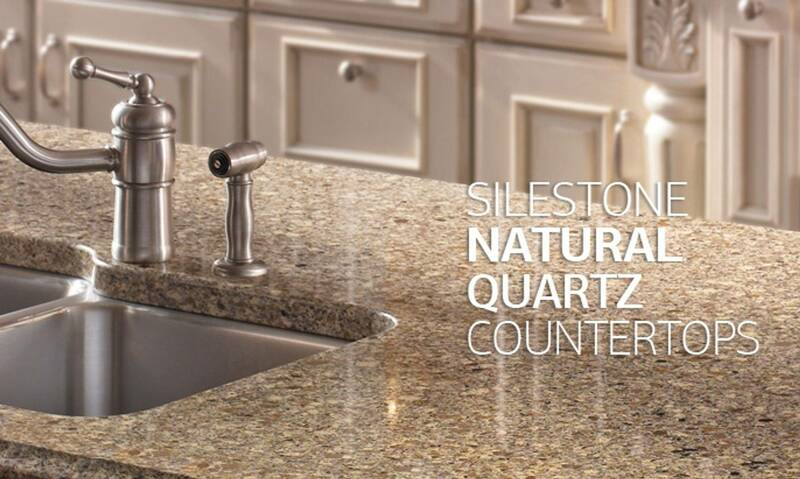 Quartz countertop is a cleaner, safer surface, making it easy to sustain and looking like new for years to come. Just follow a simple cleaning routine for long-lasting enjoyment. 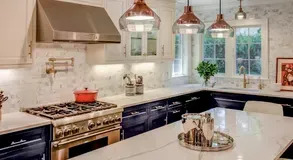 Daily Cleaning Routine - - For a silestone countertop with a polished finish, we recommend you use a mild household cleaner, All Natural soaps. In case of stubborn spills or stains, soak the area for up to 10 minutes with one of the above cleaners and vigorously wipe away with a Scotch Brite® pad. CAUTION: The following will harm a quartz countertop Drano®, Liquid Plummer®, oven cleaners and floor strippers. Do NOT use these or any other harsh chemicals on your countertop surfaces. Emailed late after a laminate counter mishap. Received a call about 10 minutes later from Robert Stack. He asked that I send him a picture of the damage. Even though all sources were telling me laminate is almost impossible to fix without replacing, Robert ran me through his suggestion for repairing the counter. He said a quick fix was a permanent black marker plus an oil soap solution on top afterwards. To my absolute surprise, the tactic worked PERFECTLY and I was able to fix the counter. This will save my girlfriend and I from having to pay thousands to fix upon the moving out inspection. Big ups to Robert Stack for the exceptional customer service and expertise !! 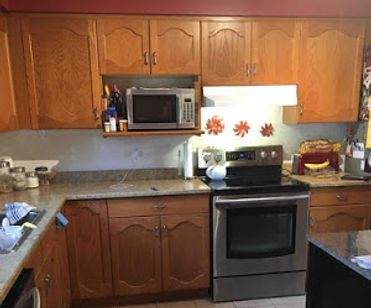 Proudly Serving: Halifax Dartmouth kitchen cabinet renovations, and cabinet designing, in Brookside, Beechville, Shad Bay, Bedford,Whites lake,Prospect Village, Goodwood, Timberlea, Tantallon, Beaver Bank, Cole harbour, Mineville, Lawrencetown, Enfield,Elmsdale, wolfville, Saint Margarets Bay, Spryfield.